They used to be the province of the well-to-do and middle classes, but in recent years conservatories have seen a huge resurgence and are now more popular than ever. With stronger, energy efficient materials and windows, as well as cheaper prices, more of us are taking the plunge and transforming those back gardens and outdoor spaces into mini palaces in which to relax or entertain. Whether you want a standard lean to or something in the Victorian style, there’s plenty to choose from and good reasons to have a conservatory installed. Compared to the cost of a full-blown extension, putting in a conservatory is a much more cost effective option. With the average price paid last year in the region of £6,800 there’s a style and installation to suit almost every budget. If you are looking for more space and light in your home, then it’s the ideal solution and won’t burn a hole in your bank balance. Building a good quality conservatory on your property can add value should you later come to sell. Not only does it a provide more space, which many people are looking for nowadays, it makes a big difference to the look and feel of your home. The original use for conservatories back in Victorian times was to allow those with green fingers to potter about and grow things. Essentially it was just a big greenhouse attached to the house. While this particular use has now fallen out of fashion, there are still people who like to use their conservatory to cultivate plants. There’s nothing better on a balmy summer day than sitting in the conservatory with the doors open, relaxing, reading the paper, listening to music or surfing the web on your tablet or iPhone. Decorating your conservatory properly is all important and many people like nothing better than to put in some comfy furniture to lounge around on and relax. Of course, you can do much more with your conservatory. It makes a great art studio, for instance, or the perfect place to put an office, out of the way from the main part of the home. 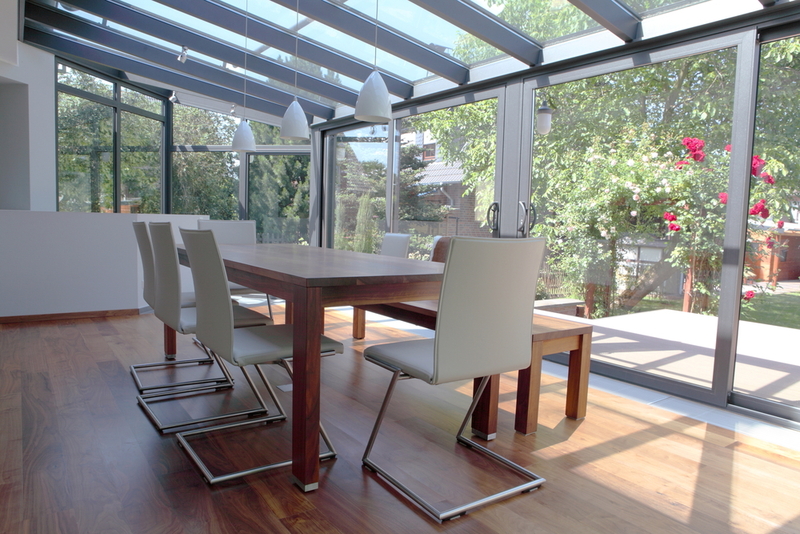 Many people opt to attach their conservatory to the kitchen area and use it as a place for dinner parties and special occasions. Particularly if you have a big garden it can be the perfect place to entertain and can make you the envy of the neighbours. We’re used to seeing solar panels on top of both domestic and commercial buildings but you can now also get them for your conservatory roof. If you have a south facing structure, then it is ideal for catching the sun and generating solar. The power generated can then be used for either heating the conservatory itself in winter or providing energy to the rest of the house. If you already have solar installed on the roof, then it can be used to compliment that energy supply.